MyAntivirusGuardian provides a comprehensive real-time security protection to servers, workstations and portable users. Using MyAntivirusGuardian alleviates any virus-related down time and reduce loss of data by providing up-to-date security definitions and performing scheduled performance checks to ensure proper protection. MyAntivirusGuardian is engineered to defend against: viruses, spyware, phishing attacks, and identity theft. 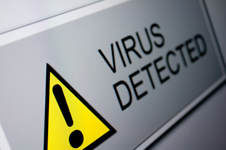 MyAntivirusGuardian will protect against the various methods viruses and malicious software can penetrate the system. While MyAntivirusGuardian supports the various anti-virus programs that businesses use today, MyAntivirusGuardian will provide helpful instructions for the day to day operations on how to evade the traps of malicious software. Using MyAntivirusGuardian will help reduce time spent running a personal antivirus system and lessens the resources needed to manage and maintain the system protection. This will not only decrease cost but will permit a more focalized endeavor on the system security. MyAntivirusGuardian solutions provide a method of scanning all inbound and outbound e-mail, Web, and FTP traffic for viruses, quarantining malicious code in real-time enter or escapes your network. This is performed without affecting your network performance. We service many clients that have multiple viruses and malicious software trying to enter into the network and server daily, and with JR-Tech these threats are averted.